Real Madrid know that the young goal keeper, Rubén Yáñez, will not have too many minutes next season with the first team. 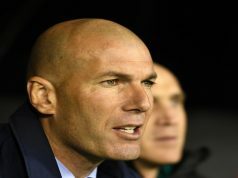 Zinedine Zidane has two good keepers such as Keylor Navas and Kiko Casilla, and Los Blancos are aware that it’s very difficult to give him the necessary minutes to grow as a player. Thus, they are searching a good solution and it’ possible that the Spanish keeper will leave the team on loan with the aim of not slow down his progression and grow in another team. There are three teams who are interested in the services of the young goalkeeper. According to Cadena Copa, Rubén Yáñez likes the idea to go on loan or even being transferred to another side, because he knows that his will not have any minute this year with the two keepers Real Madrid have. Espanyol, Cádiz and Rayo Vallecano are the three teams that interested in his services. 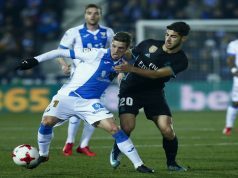 It looks like Cádiz is the best election for Rubén Yáñez because he will have the opportunity to grow as a player, despite they are currently in the Spanish second division. However, the Andalusian side is not the only interested, Rayo Vallecano and Espanyol are other possible destination for the Spanish keeper. Espanyol have already two keepers, the former Real Madrid player Diego López and Pau López, who has recently returned to the team after being on loan at Tottenham Hotspur. 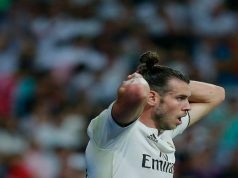 For this reason, it looks like Barcelona isn’t the best destination for him because he will have a similar problem as the one he currently has at Real Madrid. This will be the third season of Rubén Yáñez in the first team and it seems that this can be the last one. In fact, the Spanish keeper will not travel to Barcelona to the first leg of the Spanish Supercup, and Zidane’s son, Luca, will replace him as the third keeper of the squad.